Like hundreds of other prisoners of conscience now languishing in Sisi's prisons, Ahmed Douma has a long background in activism. One of the founders of Kefaya and the April 6 Youth Movement, Douma was incarcerated eighteen times under Mubarak and SCAF and twice again during Morsi’s brief year of rule. 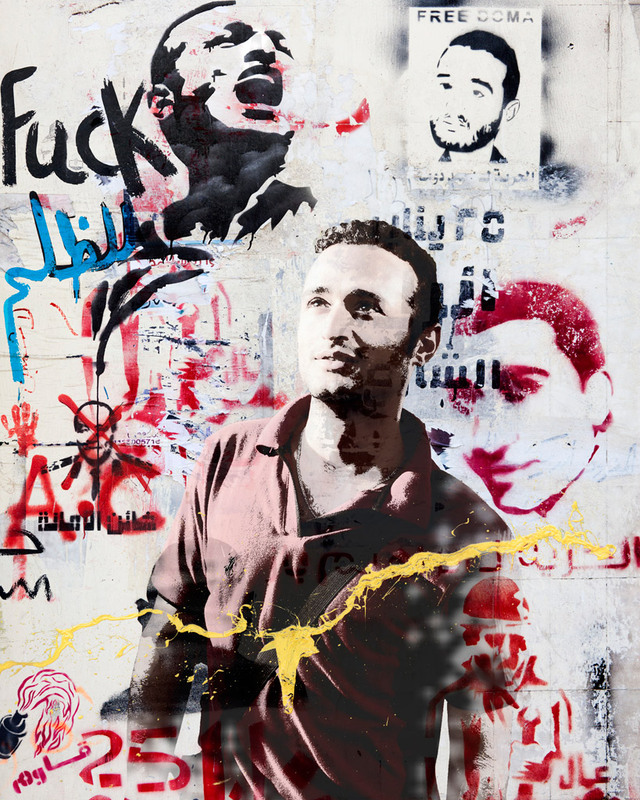 Most recently, Douma was arrested in December 2013 for violating the country's harsh anti-protest laws. Though his health has deteriorated to the point that his life is now at risk, an Egyptian judged recently sentenced him to three years in prison. Then they can go revolt. Dragged through streets, servility and surrender. And hang the darkness of their night on the gallows. Daylight rays for the sun of emancipation! Let our country nurse on the many meanings of dignity. Let it come to know how to break the siege. Its time for the Dog to go. Enough with the voiceless shrieking. Now I am free, without chains. Then they must learn to break their chains themselves. This is the youth of our country! Spewing every cussword in the book. Now, in the middle of the square, the bloodbath begins. Tear gas, whose stench creeps toward us. There is no escaping death. Will find nothing but police cordons around you. Then send them off in cuffs to get booked. And fit to be tried in court. All rise and be silent. Only the judge has the right to speak. The defense rises, the accused, the prosecution. Justice has died in Egypt. That might go on to the end of time. Only that can restore Egypt’s glory. And the enemy: this country’s youth. Down with every police cordon.